Bear attacks are still rare in Anchorage. But the dynamics of Sunday’s fatal mauling stand out from history. First there was the brown bear that injured three people near a campground in Eagle River on June 14. Then, on Sunday, the horrifying news that a teenage runner in a popular mountain race at Bird Ridge had been killed by a black bear, the first fatal mauling in the Anchorage area in more than 20 years. The bad news about encounters between humans and bears near Alaska's largest city has more than a few people asking: What's going on here? 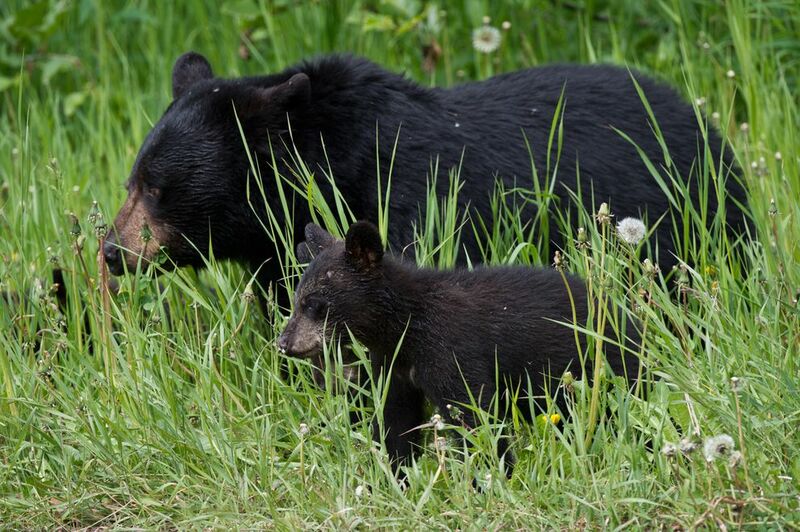 Are more bears in Anchorage this summer, and are they more dangerous? Maulings in the area remain rare and there's no sign that a lot more bears are around this summer than in other years, biologists say. But the predatory black bear attack on 16-year-old Patrick "Jack" Cooper on Sunday does not fit the established pattern in the Anchorage area. Alaska Department of Fish and Game research biologist Sean Farley says that without a recent scientific census, it's impossible to say exactly whether the bear population in the municipality, which extends from Girdwood to Eklutna and encompasses thousands of acres of wilderness, is greater than normal. 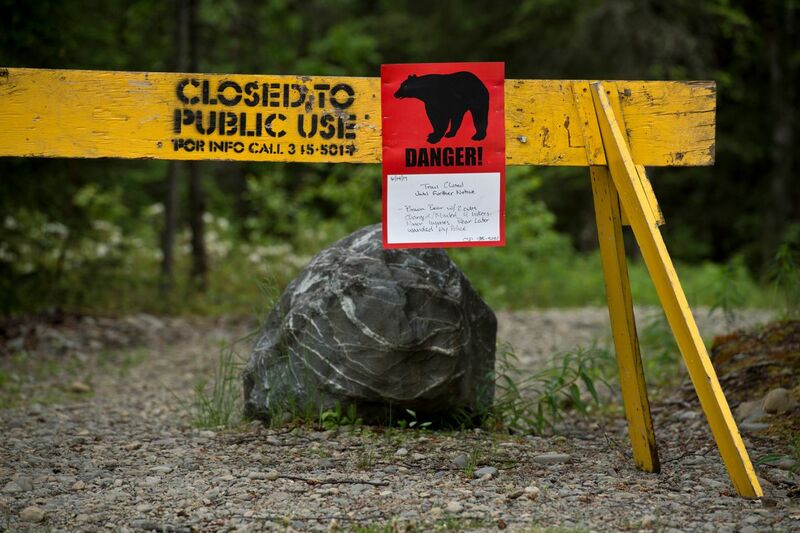 Dan McDonough, the host at the Eagle River Campground where a surprised brown bear mauled three people last week, said there seem to be more bears this summer in the campground "than some years," but there hasn't been a single problem bear as in the past. 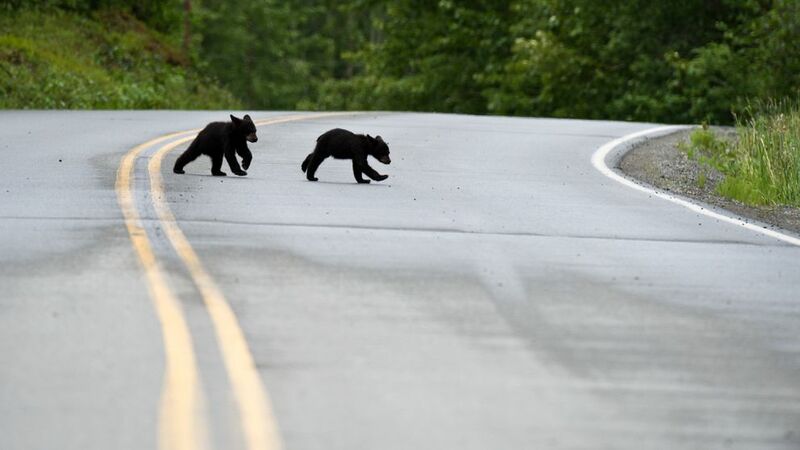 But there's no doubt that this summer people are hearing more about the bear encounters that do happen, said Ken Marsh, a Fish and Game spokesman. He cited extensive news coverage given to two incidents in which Eagle River property owners shot bears that were trying to get into a chicken coop and horse corral. That kind of thing happens a lot, but the incidents were more widely publicized than usual, he said. Facebook and apps like Nextdoor that share information among neighbors guarantee that even the most benign bear encounters find an audience, incidents "you wouldn't know about it except for word of mouth 20 years ago," said Rick Sinnott, a retired Fish and Game Anchorage area biologist. Sinnott thinks a bigger factor in the perception that Anchorage is having more bear trouble than in the past is a matter of population density and recreation. "There's more people in the woods than there used to be," Sinnott said. "If you double the number of people in the woods, you're going to double the number of bear sightings." People didn't mountain bike or run in the woods as often as they do now, he said. Biologists make a point that most of Anchorage is bear habitat. Bears have been spotted in the most concrete-bound areas of the city, such as off Dimond Boulevard, though usually with a greenbelt nearby, Farley said. A study done about 10 years ago found that an estimated 30 brown bears spend time in Far North Bicentennial Park alone. Over the past 20 years, maulings have happened everywhere, including the trails behind the Eagle River Nature Center — where a nurse got a "bite taken out of her" by a grizzly bear in 2007, according to an Anchorage Daily News article from the time — and an Eagle River backyard, where an attorney survived stumbling on a brown bear in a brushy thicket in 2012. Historically, virtually all Anchorage maulings have involved surprise encounters with brown bears. 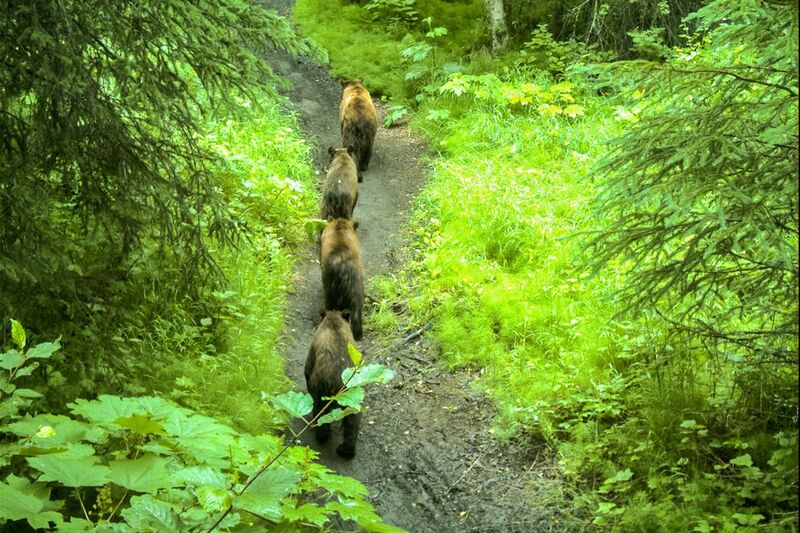 That includes the only other known fatal bear mauling in Chugach State Park: In 1995, Marcie Trent and her son Larry Waldron were running on the McHugh Creek Trail, about 2.5 miles from the trailhead, when they surprised a brown bear sow with cubs that had been eating a moose. The bear killed Trent and Waldron. "That was a case of wrong place, wrong time," said Sinnott, who was area biologist at the time. In 2008, then-15-year-old Petra Davis was badly injured by a brown bear while participating in an all-night mountain biking race along the Rover's Run Trail, on Campbell Creek in Far North Bicentennial Park. Six weeks later, jogger Clivia Feliz was attacked by a sow on the same path, leaving her with a collapsed lung, torn arm and puncture marks in her arm. The Rover's Run maulings led to a debate, said Sinnott. "All of a sudden people were saying, there's more bears," he said. "There was a lot of talk about bear hunts in town." Bear hunts were not allowed in town. But changes did come from the public outcry over those maulings: The number of bear hunts in Chugach State Park increased. The next year, Rover's Run was closed proactively for a six-week period while bear activity was at its peak and fish were spawning. And the summer of 2008 also marked the launch of the color-coded warning signs now seen at trailheads around the city: red for danger, with a precise explanation of what led to the closure, like a moose kill with an aggressive bear nearby. More recently, a solo hiker was mauled in 2012 while climbing Penguin Peak, southeast of Anchorage along Turnagain Arm. In the summer of 2014, two female joggers were mauled in separate incidents involving a grizzly sow with cubs. One attack happened on a trail at Joint Base Elemendorf-Richardson in mid-May. The second happened when a woman running on the Bird Valley Trail, south of Anchorage, was seriously injured in a brown bear attack. In most of those cases a bear perceived itself as being under threat, defended itself and then left the area, Farley said. The Bird Ridge attack seems different. But while many facts are unknown about the fatal mauling, park rangers said that the black bear was seen circling and refusing to leave the body, a sign of an aggressive or predatory attack. "A predatory attack from any bear is very, very rare," said Farley. Correction: An earlier version of this story misidentified a victim of a 1995 bear mauling in Chugach State Park. Larry Waldron was killed in the attack.